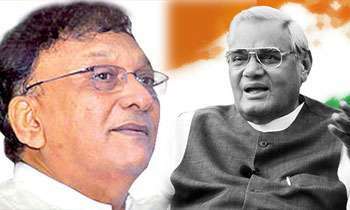 Sri Lankan cabinet minister and Leader of the House Lakshman Kiriella will attend former Prime Minister Atal Bihari Vajpayee's funeral on Friday, as an envoy of Sri Lanka, authorities said. Opposition Leader R. Sampanthan said India has lost one of its “most regarded intellectual and statesman”. “He served the great country of India with humility and honesty, and he was much loved and respected by millions of people across the world. Former three-time Prime Minister Vajpayee is also an exceptional orator and a leader with a great sense of humour, his speeches within the Indian parliament and outside will always be remembered,” he said in a statement, extending his condolences on behalf of the Tamil people of Sri Lanka. Recalling Mr. Vajpayee’s contributions to bilateral ties between India and Sri Lanka, Foreign Secretary Prasad Kariyawasam said India-Sri Lanka relations “were blessed” by Mr. Vajpayee's “futuristic policies”. “I was privileged to have met him as the Deputy High Commissioner at the time. The India-Sri Lanka FTA, the first free trade agreement for both countries, stands testimony to his visionary leadership,” the top official tweeted. Any cattle can attend funerals!